I grew up watching Gilmore Girls on the WB, a television show about two young women who are friends first and mother and daughter second. I’d like to believe that that show is the reason why my mom and I are so close. Every week when a new episode aired we’d sit on the couch together and watch it. I remember when the show ended in 2008 and I was completely crushed because my entire relationship with my mother was built around the close relationship of Lorelai and Rory Gilmore. We’re the same person; I’ve become my mother in the best way possible. Some people think being their mother’s daughter is the worst compliment they could receive and I would have to disagree politely. I love hearing that I look like my mom because she’s beautiful and I love hearing that we act the same because I love her personality. There is something so special about this bond that we share with each other and I feel sad for those who despise the very person I love the most. The very person I look up more then anyone else in the world. 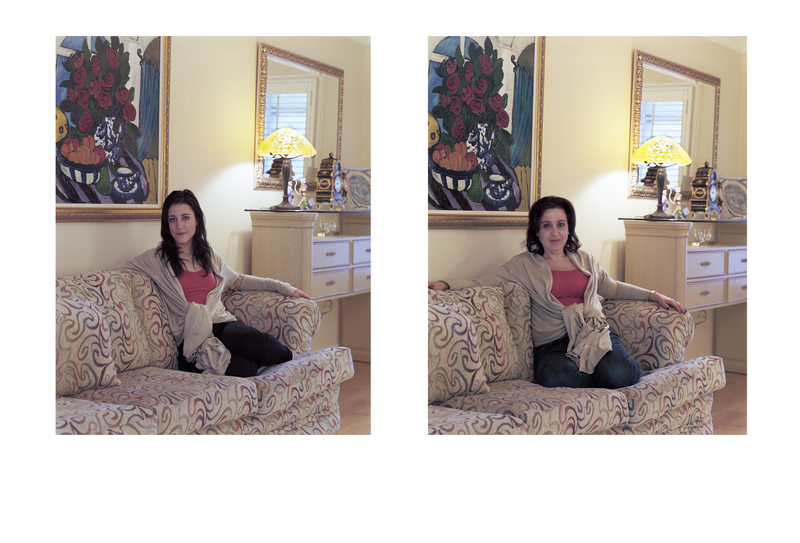 I decided for my project that I wanted to photograph other mothers and daughters with strong tight-knit relationships. The idea is to showcase their similarities and differences while having them in the same location, the same outfit and the same pose. 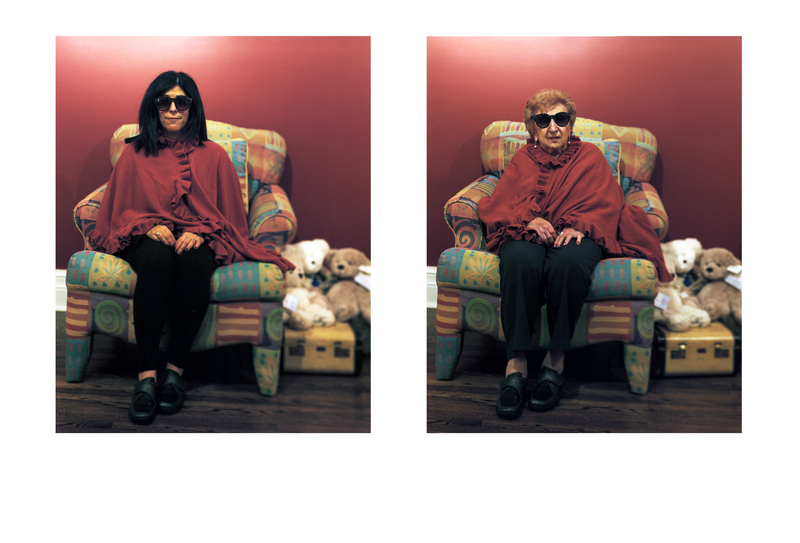 This series was shot in colour to emphasis the subjects. Although the surroundings are the same in each set the people who were photographed are of importance and I feel that it wouldn’t be conveyed the same way through black and white. This allows everyone else to see what I see exactly how I see it. 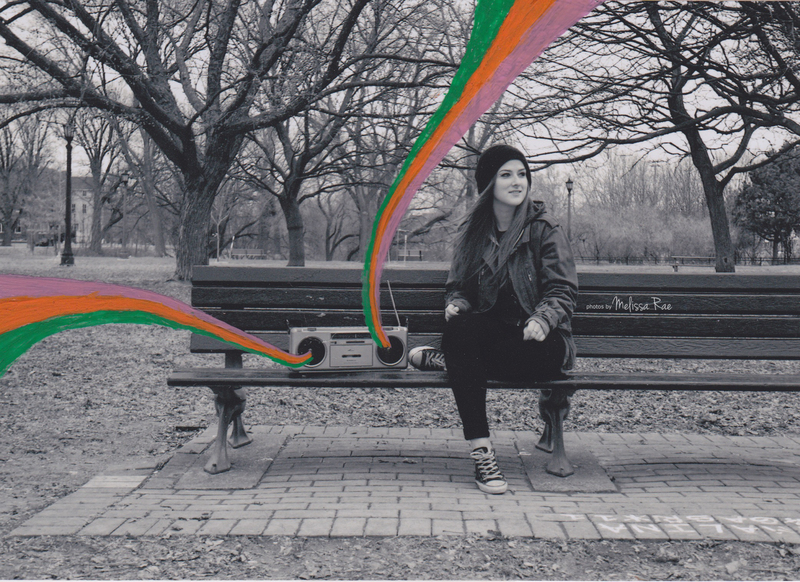 I was inspired by graphic-designer Carra Skyes, who did something similar with digital photography. Her uncle used to tease her mother asking if she was wearing her clothing. Their quirky photographs are something that reminded me of the Gilmore Girls and I realized that I wanted to capture different mothers and daughters in a similar element. 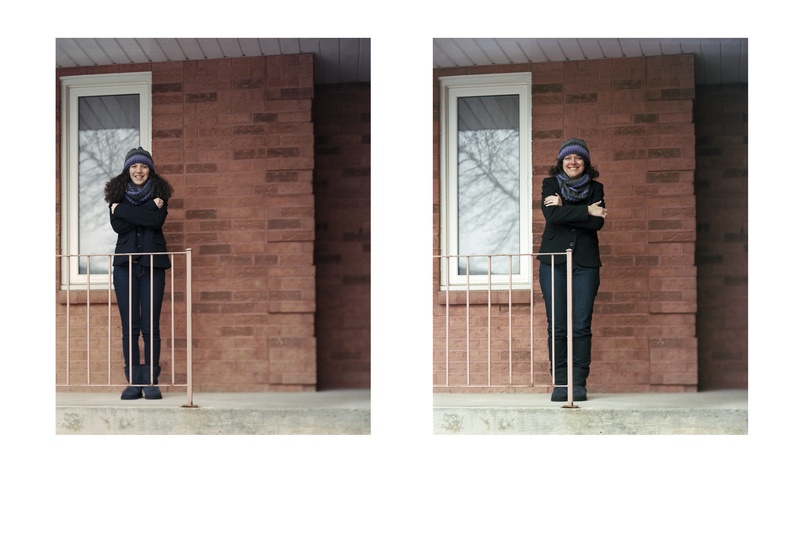 This would be completed using a 4×5 large format camera. These portraits can speak more then words and show a lifelong bond between mothers and daughters. Although there’s an age difference between the generations, similarities can always be found and I chose to focus on that. The Yonge-University-Spadina line first opened in 1954, with extensions in 1963, 1973, 1974 ,1978 and 1996. It is the oldest and busiest subway line in Toronto with 32 stations and operated by the Toronto Transit Commission (TTC). Construction is currently on it’s way to further expand the Spadina line northwest of Downsview into the City of Vaughan. Subway service is expected to be running in August 2016. That’s all great, right? But now you’re probably wondering why I chose to do my typology on this subway line. To explain that it would help to know a little bit about me. For those unaware I’m a student at Ryerson University, which can be found in the heart of downtown Toronto. I however, live north of Toronto where the subway doesn’t quite reach, making me a commuter who has to ride the subway to and from school everyday. It doesn’t matter which end I start on, Downsview or Finch because either way I still live north of where the subway ends. I’m in the middle of each. As mentioned before I ride the Yonge-University-Spadina line everyday but never quite paid attention to the stations I passed on the way to my destination. I became intrigued and wanted to see the difference between each and every station. So one Sunday, with my brother I rode the full subway line starting at Downsview station. At each stop I’d get off, take a picture of the sign and wait anywhere from 4-10 minutes for the next train to come along. Throughout my experience I noticed various similarities and differences between some of the stations. 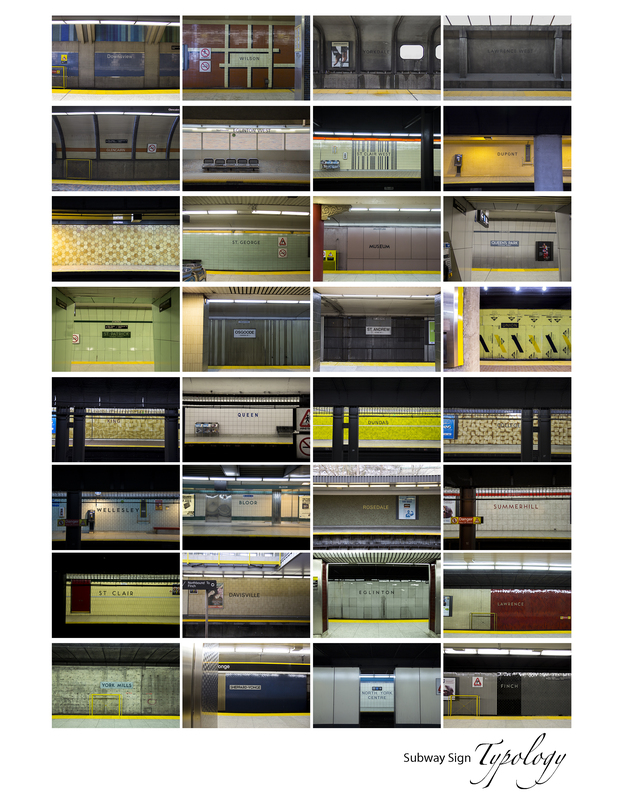 Stations on the original line; Eglington, Davisville, St. Clair, Summerhill, Rosedale, Bloor, Wellesley, College, Dundas, Queen and King are all designed very similar using vitreous marble, the only difference being the colour of the tiles. Union, which was one of the original stations is currently being renovated. The newer stations have art and architecture that differs from the original line. Other Torontonians who ride the subway may have never taken the time to get to know each and every station on the line but I didn’t want to be one of the many. The subway in a way has become my second home and by taking a photograph of all the station signs i’ve documented a day in the life of me.